Wood Fuels Ayrshire joins Biomass Suppliers List !! We are authorised on OfGem's Biomass Supply List (BSL) Click logo for web link. The Biomass Suppliers List (BSL) was introduced in 2014 for wood fuel suppliers to register their fuel as sustainable. The government has introduced the scheme in order to make sure biomass meets their carbon and environmental objectives. All Renewable Heat Incentive participants must meet a lifecycle greenhouse gas emissions target of 34.8g CO2 equivilant of MJ heat produced. From October 2015 anyone who receives RHI payments will have to buy their fuel from a registered Biomass Suppliers List supplier in order to comply with new regulations. The government are strongly encouraging all participants to start sourcing their fuel from a registered supplier in advance of the criteria coming into force. We are now fully accredited under the Biomass Suppliers List (BSL) to deliver sustainable wood pellets to all of our customers throughout the Ayrshire and Scotland. This means our depot and collections points for wood pellets are accredited to the Sustainability measures set out by OFGEM in order for our customers to gain the RHI (domestic). 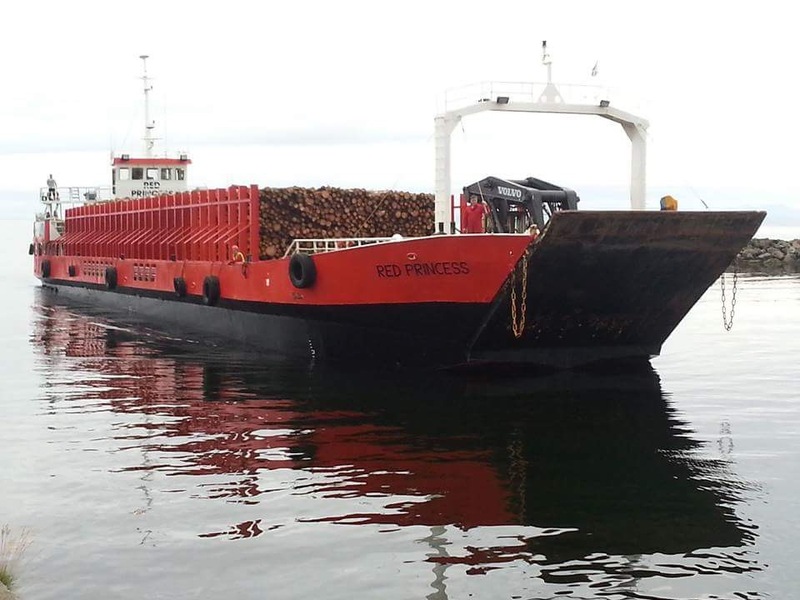 The Red Princess travelled from Argyll and arrived in Girvan Port on Monday this week with 800 tonnes on board. The 2 mile shuttle run from Girvan Port to the Land Energy plant was completed by three trucks. Girvan Port re-opens for business after nearly 50 years. 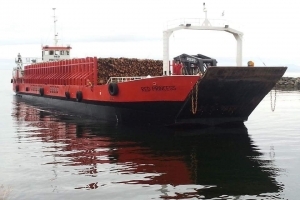 Using the Red Princess on this one consignment took 60 trucks off the A77 in Ayrshire. It further reduced the overall CO2 emissions of Land Energy’s wood pellets, which now deliver more than a 90% reduction in net CO2 emissions over heating oil or LPG.